The first episode of Game of Thrones Season 3 entitled Valar Dohaeris (a secret response to the Valar Morghulis enunciation, which also happened to be the title of the last episode of the previous season) has left every fan gaping for more. I for one can't get enough of the show that I felt the anticipation of the long wait has not been given mush justice. Craving for more, I looked around for what's in store for us unfortunate followers in the second episode of the season which is titled Dark Wings, Dark Words. Coming from the official youtube channel of the show comes some great previews, which I guess would make your mouth water. 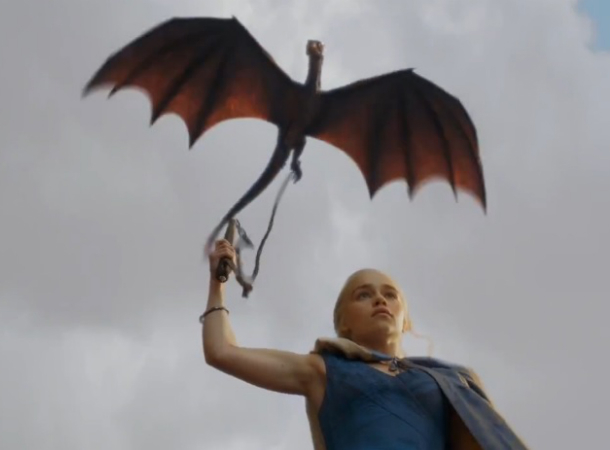 Watch Game of Thrones Season 3 Episode 2: Dark Wings, Dark Words on April 7, 2013 at HBO.